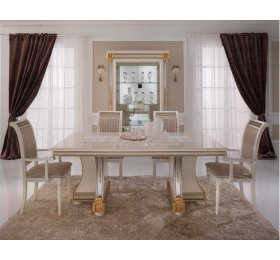 The Liberty collection is an original furniture range featuring elegant frames with gold and silver details that enhance the marbleized surfaces. The gold leaf is applied on all ornaments and capitals. If the Liberty style was renowned as “the science of details”, our original Italian-made furniture collection is the perfect representation.